Carol Olmstead: I am Carol Olmstead and I am showing you how to use Feng Shui to attract wealth. Now I am in the living room. First, let's talk about windows. 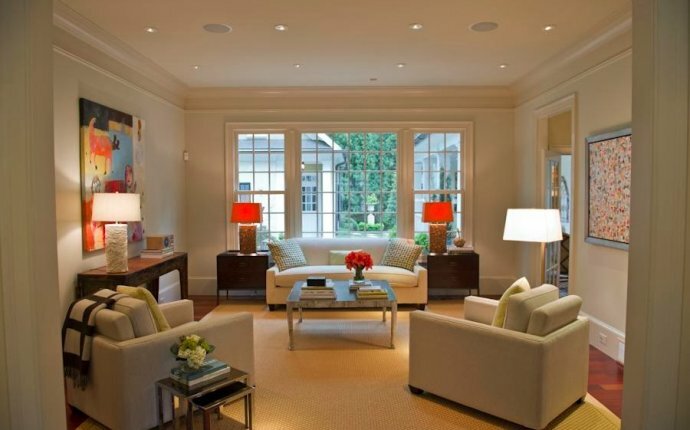 In Feng Shui we believe that windows are the eyes of your home. If your windows are cloudy, so is your vision, it's blocked. You cannot see opportunities clearly and you certainly can't act on them and attract wealth into your home. So clean your windows and clear your vision and attract wealth. My next tip for attracting wealth into your life is called balancing the elements. Don't get worried by that term because elements is the way in Feng Shui we talk about the colors, shapes and textures all around you. When they are in balance, when you are surrounded by all five of these elements, you feel good and when you feel good you can respond to the opportunities that come to bring wealth into your life. Let's talk about the first element, it's fire. Fire is the element like our fireplace here that brings passion, emotion, literally, fire into your life. We can bring it in by having a fireplace. Don't worry if you don't have one, because the red color is also the fire element and this triangular pattern that's also the fire element. Again, fire brings passion into your life. The next one is earth. Earth is the element that grounds us, it makes us feel balanced. This coffee table which is made of stone is made of earth, the color of this rug is a brown color, it's also earth, earth to ground and balance us. The next element is metal. Metal is the element of strength around us. The TV is metal, all light colors are metal. If you have got any computers and electronics, they are all, the metal element, they give us strength, they give us focus. The next one is water. Water is represented by glass things, water is represented by anything that has a flowing pattern and blue and black colors, like you are moving in deep water and water is the element that makes us flow, expand. We certainly need that for wealth. Finally, wood, wood is the element we use to describe anything growing. So plants are the wood element. The shape of the wood element is anything rectangular; the color of the wood element is anything green and growing. So as you can see this room is nicely balanced. We feel good in this room, it's good Feng Shui, we are ready to respond to anything that comes along our way. That's how you balance the five elements.